What should I expect at my arraignment for a DUI charge? If you have been charged with driving under the influence (DUI), your first court appearance will be your arraignment. Often, the hearing will be the day after you were arrested if you were detained. In some courts, you will be taken to the courthouse for your arraignment. However, the judges in many jurisdictions will conduct the hearing by video conferencing while you remain in jail. Sometimes, you may have been released from jail on your own recognizance—your promise to return for all court hearings—or by posting bail soon after your arrest. If this happens, your arraignment could be a few days after you were arrested. Read the criminal charges against you. Ask if you have hired an attorney and offer to appoint a court-appointed attorney if you cannot afford to pay for one. The judge will most likely ask you questions regarding your financial situation if you are requesting that an attorney be appointed for you. Ask you how you will plead to the charges. You can plead guilty, no contest, or not guilty. It is often the best to plead not guilty until you have discussed your case with an experienced criminal defense attorney. Decide whether you can be released on personal recognizance or set the amount of your bail if this has not been done earlier. 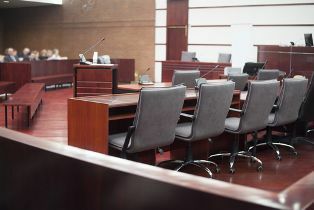 Announce the future court hearings in your case, such as a preliminary hearing, pre-trial motions, and trial. You must attend these hearings. You should consult with your attorney before your arraignment and have him attend it with you if possible—especially if your bail will need to be set. If you have been charged with a DUI, I can advise you in more detail about what to expect at your arraignment. Call me today at 888-386-3898 to schedule a free consultation. Can I get my DUI charge reduced to a wet reckless charge in a plea agreement? If you were charged with driving under the influence (DUI)—especially if it was an honest mistake and your first offense—you do not want a DUI conviction on your criminal record. You may be able to enter into a plea agreement with the prosecutor to reduce the charges to a lesser charge. However, you will need an experienced criminal defense attorney to help you obtain this deal. Your blood alcohol content (BAC) is slightly below or above .08 percent. The prosecutor’s case has weaknesses, and he would rather obtain a conviction rather than the possibility of losing a trial. If you have been charged with a DUI, an experienced criminal defense attorney may be able to help you enter into the most favorable plea agreement for your situation. Fill out our online form to schedule a free consultation to start to learn more about your rights. Can I be charged with a DUI even though my blood alcohol level was below the legal limit? Whether you bar hop on the weekends or merely drink on social occasions, it’s important to know how to drink responsibly, especially if you’re planning to get behind the wheel. In addition to protecting yourself from a potential drunk driving accident, waiting to drive until you’re sober will help you avoid DUI charges. Over the past few years, Virginia has drastically increased its drunk driving enforcement campaign in order to punish would-be violators. As such, more and more DUI checkpoints have been set up and traffic stops have increased. Ultimately, this means that the risk of you being caught when you drink and drive is much greater than it was 10 years ago. Zero Tolerance Laws. These laws focus primarily on underage drinkers and specifically address criminal punishments for operating motor vehicles under the influence of any amount of alcohol. For instance, if you’re 20 years old and driving with a BAC of 0.03, you can be charged with a DUI. Noticeable Impairment. Virginia laws not only take into account the amount of alcohol drivers have consumed, but also how that alcohol affects their abilities. Alcohol tolerance varies from person to person. No matter what your tolerance, if you exhibit noticeable impairment while driving or an officer witnesses dulled senses, you can be charged with a DUI even if you blow a BAC below the legal limit. Passage of Time Rule. The passage of time allows officers to charge drivers with a DUI if their BAC is near the legal limit (0.07). The assumption is that when the driver began his drive, he was legally drunk, but by the time the officer pulled him over his BAC lowered to a legal level. If you’ve recently been charged with a DUI or DWI offense even though your BAC was below the legal limit, call us today. Our exceptional skills and experience will help you build a strong and reliable DUI defense. Contact us today at 703-865-6610. We’ll have your back. Need more information on drunk driving charges or defense? Follow us on Facebook and Twitter. What should I be on the lookout for during the “Drive Sober or Get Pulled Over” campaign to avoid an arrest? In order to crack down on DUI offenses across the nation, the National Highway Traffic Administration has created a national enforcement and DUI awareness campaign. This campaign, known as the “Drive Sober, or Get Pulled Over” campaign, takes place every year and lasts about two and a half weeks. 2015’s campaign will begin on August 19th and end during Labor Day weekend. Although the purpose of this movement is to raise awareness (which will hopefully decrease DUI arrests and accidents), the enforcement aspect of the campaign actually increases your risk of being falsely ticketed and charged with a DUI. This is why it is extremely important to know what to look for throughout the campaign in order to avoid being pulled over. There are three separate strategies of the DUI campaign that are used to educate drivers of the dangers of drinking and driving and the likelihood that you will be caught. These strategies include publicity, visibility, and enforcement. Publicity: putting the spotlight on the campaign by using press releases, news stories, social media, billboards, posters, etc. to get the word out and drill the message into the public. Visibility: using portable signage (“Enforcement Zone Ahead,” “Drive Sober, or Get Pulled Over,” etc. ), specially-marked vests, vehicles, and badges for enforcement officers, and command centers to show the public that the campaign is being enforced. Enforcement: ensuring the public that DUIs will not be tolerated by setting up highly active and highly visible enforcement zones. All of these tactics have been proven over the years to work extremely well in raising DUI awareness. However, the visibility and enforcement techniques are the tactics you most need to be aware of, as they are the ones that can determine whether or not you’re pulled over. Therefore, during the campaign period (whether you’ve been drinking or not), you need to pay special attention to enforcement zones and look out for designated enforcement officers. Remember, it’s their job to catch and charge as many drivers as possible with DUIs (no matter how low their BACs), in order to get their message across. Don’t be a martyr for their cause—pay attention, be responsible, and avoid the need for a DUI defense. I’m a commercial truck driver and got a ticket for DUI in Virginia. What will happen if I’m convicted? There is one major exception to the one-year suspension rule: if you’re convicted of a DUI while driving a load considered “hazardous,” you can lose your commercial license for up to three years. And, if this is your second DUI violation in either your personal or commercial vehicle, a conviction can mean a lifetime ban from driving a commercial vehicle. Clearly, a conviction has the power to destroy your career as a commercial driver. This is why it’s so important that you hire an attorney as soon as possible after you are charged with a DUI. An experienced DUI attorney will be able to properly assess your case and let you know what your best course of action is. Don’t lie down and give up without finding out what your options are. Call 888-386-3898 and let me help you fight. Why does BAC vary so much from person to person? Is there a difference between a DUI and DWI in Virginia? What are some reasonable causes for a drunk driving traffic stop? Have you ever been pulled over for no apparent reason? Have you ever seen those familiar flashing lights in your mirror, but have no idea what you did? Have you been forced to take a sobriety test when you were not under the influence? Although police need probable cause to make a traffic stop, it seems that the need to hammer down on drunk driving has begun to supersede your Fourth Amendment protection against unreasonable search and seizure. However, just because police are determined to catch drunk drivers, does not mean they have the legal right to pull you over when you’ve done nothing to indicate that you are too drunk to drive. Wide turns. The officer witnessed you turning with an unusually large amount of space between your wheels and the curb. Weaving. The officer witnessed you driving erratically or constantly swerving in and out of lanes. Sloppy driving. The officer witnessed you breaking traffic laws, following too closely, or making abrupt stops. Inconsistent speed. The officer witnessed you continuously speeding up and slowing down for no reason. Collisions. The officer witnessed you hit, scrape, or damage property. Although there are a lot of reasons the police could pull you over, they must always have a reason. If for some reason they do not, or can’t produce a viable explanation for the stop, they may have violated your Fourth Amendment rights. If you think your rights have been violated, contact us today at 703-865-6610 to set up an appointment. Remember, even if you fail a sobriety test, if the test was given illegally, you may have an out. Allow us to help you get it. Call now! Is There a DUI Exception If I Was Arrested in a Parking Lot? How can I drink the same amount as a friend but have a higher BAC? The amount of alcohol in your blood at any given time depends on how quickly you metabolize it, as well as the ratio of alcohol to your weight. 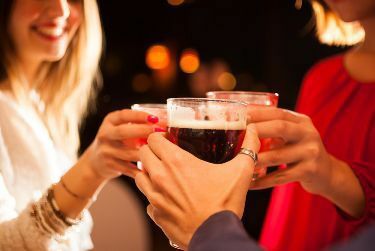 Men can usually metabolize alcohol faster than women, while heavier people tend to need to drink more to raise their blood alcohol concentration (BAC) than thinner drinkers. This is why it is important to understand how alcohol affects you personally, as well as how much alcohol you can consume based on your weight, before your BAC goes above the legal limit. Otherwise, you may unwittingly set yourself up for a DUI charge. The Office of Alcohol and Drug Education at the University of Notre Dame provides a BAC estimate calculator to help you determine the maximum number of drinks you can have for your weight and gender. However, this BAC estimate should not be used as a green light to drive after drinking. Impairment can result from any amount of alcohol and you need to judge whether you’re sober enough to get behind the wheel safely. The calculator should only be used to approximate the amount of alcohol your body can absorb over a specific timeframe. To demonstrate how body weight, gender and time influence BAC, the state of Connecticut compiled data into a reference chart showing the relationship among these three factors. While this chart can’t be 100% accurate for every person, it does show how BAC can vary even if two people drank the exact same amount over the exact same time period. For example, if you weigh 120 pounds and your friend weighs 130 pounds, you could be over the legal limit to drive after drinking two drinks over two hours and he may not be. Even if you feel and act less drunk than him, you could get a DUI if you drive and you may not be able to challenge the results with any hope of success or certainty. When you decide to drink, make sure you give your body the necessary time to not only feel sober, but for your blood to absorb and metabolize the amount of alcohol you have consumed. Do you have more questions about BAC levels, sobriety tests, or defending against a drunk driving charge? Fill out our contact form, or call us directly at 703-865-6610 to set up an appointment. How are blood alcohol concentration levels determined? What’s the difference between a DUI and a DWI and how do the laws differ in Virginia, DC, and Maryland? You may hear the acronyms DUI and DWI used interchangeably and in Virginia and DC, they do mean the same thing. But in Maryland, they refer to different levels of impairment and the distinction could be important. In both Virginia and DC, the official charge for having more than the legal limit of alcohol or another substance in your system is a DUI, or Driving Under the Influence. People may use the term DWI to mean the same thing, but it is not an official charge in these jurisdictions. In Maryland, however, DWI stands for Driving While Impaired, and refers to lower levels of alcohol in the bloodstream than a DUI. The following table outlines the differences in charges between Virginia, Maryland, and DC. Can I be held responsible if my teenager drinks and drives? What types of tests should I expect if I’m pulled over for suspected drunk driving? Although it may be easy to catch an intoxicated driver once he or she has caused an accident, the hope is to be able to stop impaired drivers before they hurt themselves and others. This is why police are trained to recognize signs of potential driver intoxication. If an officer believes your driving could indicate that you’ve had one too many drinks, he can pull you over and administer several tests to judge whether or not you are legally intoxicated. Although police officers have the right to administer field sobriety tests if you showed signs of impairment while driving, they don’t have the right to pull you over without just cause. If you were obeying traffic laws and driving safely, you should not be pulled over. None of these tests can irrefutably prove alcohol or drug impairment and failure of any one of them could have an explanation that does not involve driver impairment. If you are being charged with DUI based on one of these field sobriety tests, please call us directly at 703-865-6610. We’ll be happy to discuss all of your concerns and driving rights. Can I be arrested for drunk driving while I’m at home? There are many strange rules when it comes to when and where a driver can be arrested for drunk driving. In some instances, drivers may be arrested while drunk even though the car is not in motion, while others may be arrested hours or days after the incident occurred. At your home. Many people mistakenly believe that once their journey is over (and they have managed to avoid being pulled over), they cannot be charged with DUI. However, people have often been arrested at home for DUI because an officer has come to their house after a report of property damage or an image of your vehicle on a speeding camera. If you admit to drinking before driving in front of the officer, you can still be charged with DUI even if there is no evidence of alcohol in your blood at the time of arrest. In the driver’s seat. Some drivers think they are making a wise decision by sitting in their vehicles for an hour or two to sober up before driving home. While this may be better than taking to the road immediately, a driver can still be charged with DUI if he is in the driver’s seat and has his keys accessible. Incapable of moving. Virginia law allows anyone who is “operating” a vehicle to be charged with drunk driving. 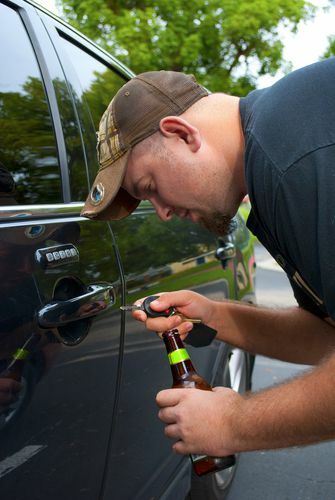 “Operation of a vehicle” can have a wide range of definitions, so police may be able to arrest anyone who is intoxicated in the front seat of a vehicle, even if the ignition is off, if the person is asleep, or even if the vehicle is incapable of being driven due to a flat tire or empty gas tank. Could I Be Charged with DUI if I Live on Private Property? If you are in your driveway and you live on private property, the police cannot arrest you unless they have seen you driving on public roads (such as when they followed you home from a bar). However, if you are charged with DUI and the officer did not observe you driving on public roads or behind the wheel of your vehicle, you may be able to refute the charges against you. Call the legal team at the Easley Law Firm today at (888) 386-3898, or learn more about your options in our free guide, The Criminal Legal Process in Virginia.